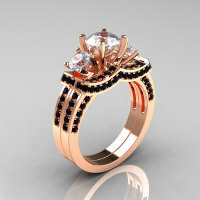 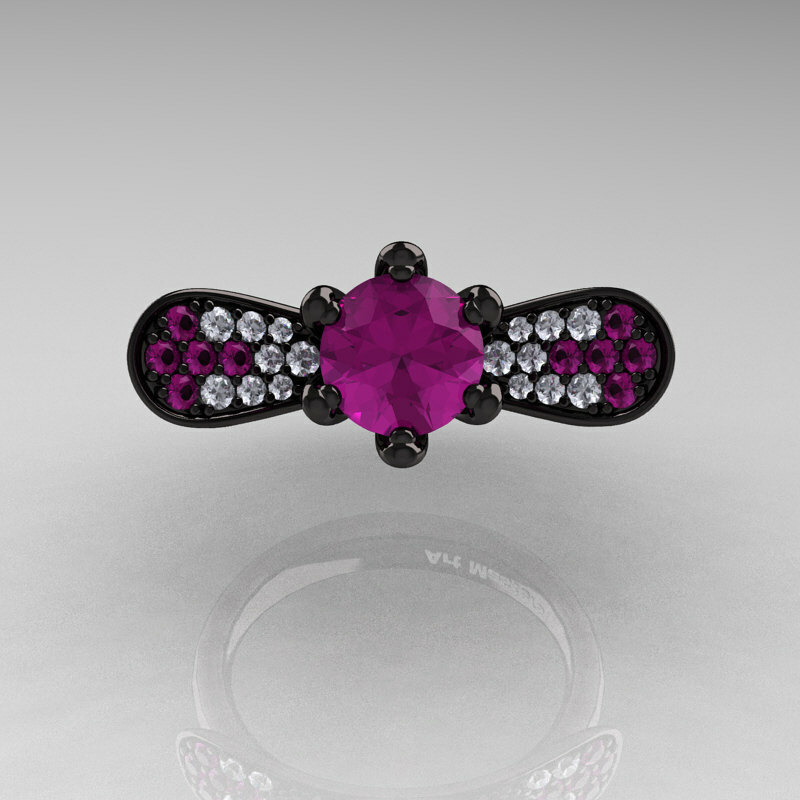 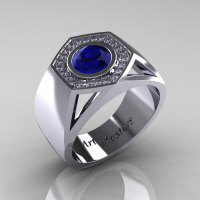 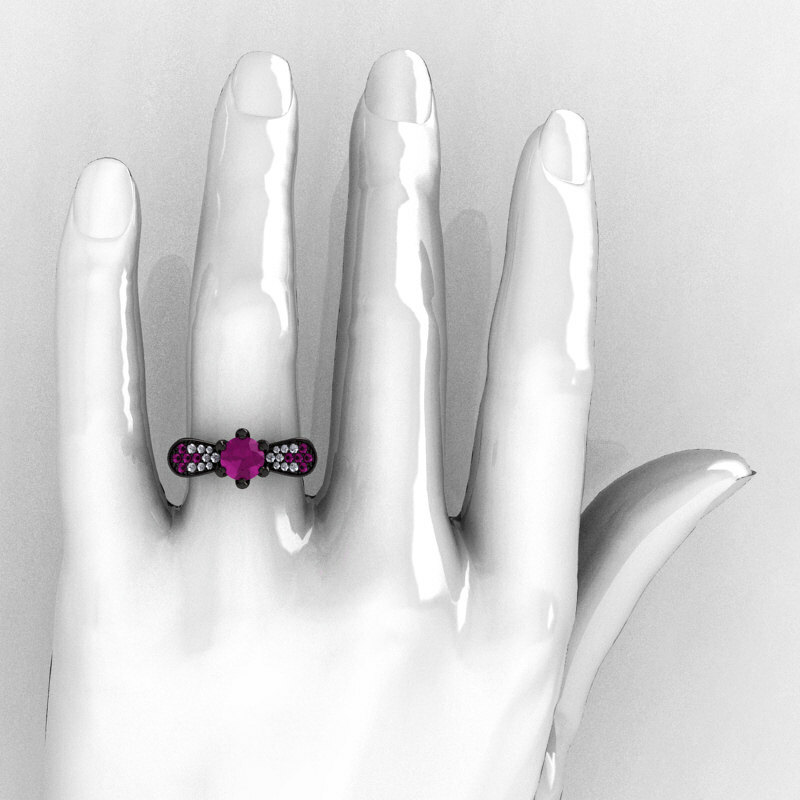 Luxurious and rich, this gorgeous ring is sure to please the most discriminating feminine taste. Inspired by nature and high fashion jewelry design it would make an excellent engagement ring, wedding ring, promise ring or a great present for someone very special. 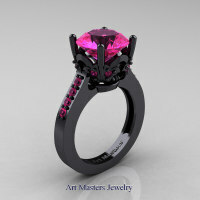 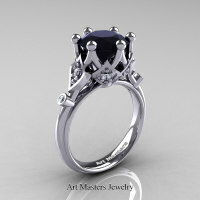 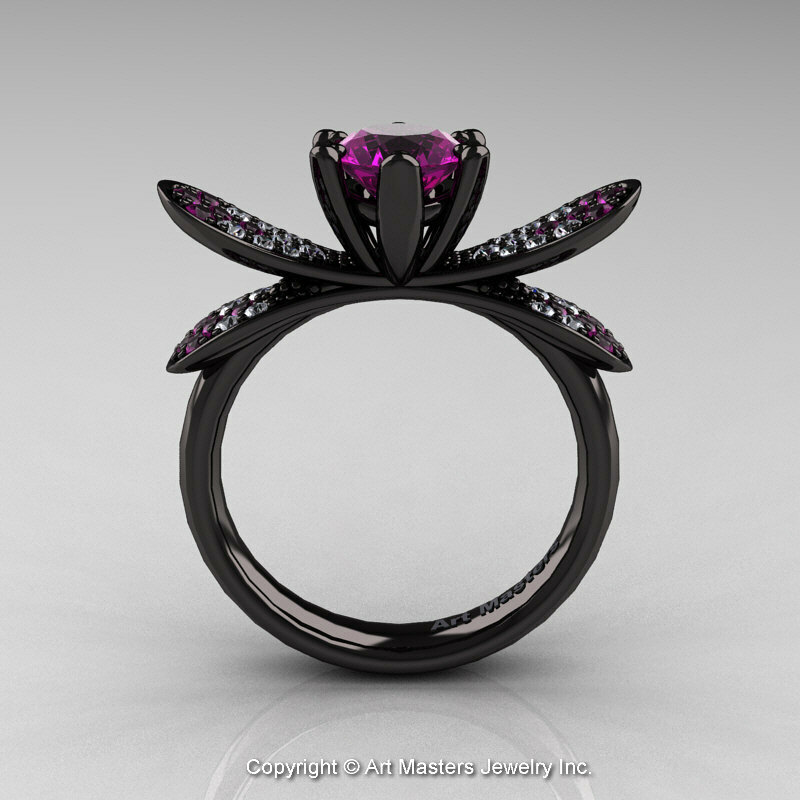 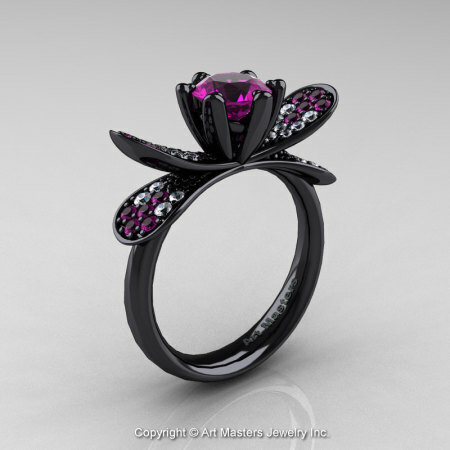 This benchmark color style (pink sapphire on black gold) was first introduced to bridal jewelry category by Art Masters Jewelry Inc.
Be the first to review “14K Black Gold 1.0 Ct Amethyst Diamond Nature Inspired Engagement Ring Wedding Ring R671-14KBGDAM” Click here to cancel reply.